Should consumers worry about the safety of aspartame and other artificial sweeteners? Aspartame is an artificial sweetener, a chemical that was created in a chemist lab. According to the Calorie Control Council, which is a non-profit established in 1966, aspartame has over 200 scientific studies supporting its safety and regulatory agencies in more than 100 countries have determined that it is safe for use. They do not say safe for consumption though. The American Cancer Society reports that most of the studies in people have not linked aspartame to an increased risk of cancer. “One early study suggested that an increased rate of brain tumors in the US during the 1980s might have been related to aspartame use. However, according to the National Cancer Institute (NCI), the increase in brain tumor rates actually began back in the early 1970s, well before aspartame was in use. And most of the increase was seen in people age 70 and older, a group that was not exposed to the highest doses of aspartame, which might also make this link less likely. Other studies have not found an increase in brain tumors related to aspartame use. Interestingly, studies continue because the safety of sweeteners such as aspartame is being questioned. The American Cancer Society says that people report side effects associated with aspartame but most people have no issue with this artificial sweetener. Live Strong points out that back in 1999, “Time” magazine cited from Susan Shiffman, a medical psychologist, that headaches, mood swings, anxiety disorder and others complaints were associated with artificial sweeteners. Very interesting and as a diet soda drinker who is trying very hard to give up this habit to help with symptoms of depression and anxiety, I’m scratching my head wondering where the truth lies. The European Food Safety Authority (EFSA) in 2009 reported there is no indication of aspartame being a possible carcinogenic risk, yet they continue to research and in 2020 they’ll have another report to further rule on the safety of aspartame. “Overall, the Panel concluded, on the basis of all the evidence currently available… that there is no indication of any genotoxic or carcinogenic potential of aspartame and that there is no reason to revise the previously established ADI for aspartame of 40 mg/kg [body weight]. As a consumer, this is confusing and frustrating. How is it that an artificial sweetener that was created in a lab by a chemist be added to hundreds of drinks and consumable products be deemed 100% safe for consumption? I am uncertain are you? Do you eat or drink products with aspartame? When I look at the side effects reported and read through blog posts where people discuss how they no longer consume artificial sweeteners and how they feel better and they no longer have headaches or mood swings, I wonder if maybe all of these studies are missing something. I am not an expert or scientist but it seems as though we are somehow not connecting the dots. Cutting Back On Sugar – An Alternative? Have you been considering cutting back on your sugar intake instead of using chemicals at all? If you are on the fence, maybe this article will help you make the final decision to say good-bye to sugar or at least cut back. Here are four great reasons why you should do a sugar detox and do what you can to avoid consuming sugar as much as possible. Insulin is the hormone that is in charge of keeping your blood sugar levels from rising too high and converting extra sugar into fat for storage. When you digest sugar, your insulin spikes. When you consume sugar in large quantities, it causes your insulin to spike and essentially digest more than it is designed to handle. Overtime, it becomes less effective and can then begin to negatively impact your health. Sugar adds many unnecessary calories to food that can cause weight gain. This is not just from eating cakes and cookies. Since the late seventies, when health authorities advised consumers to watch and lower their fat intake, the food industry has provided us with all sorts of low fat and fat free food options. To make these low fat foods taste ok, they had to add a lot of sugar. Take a look at regular and low fat or fat free salad dressing. The lower fat options have a lot more carbs and in particular, sugar. You may not taste it, but it is there. Since sugar is much more quickly digested than fat, you are hungry sooner after consuming a low fat meal and you eat again. The result can be weight gain. With all that increased sugar and weight gain comes a higher risk for diabetes and a condition called metabolic syndrome. Metabolic Syndrome is a group of symptoms and behaviors that put you at a much higher risk of developing heart disease and Type II diabetes. Thankfully, both conditions are reversible and the first step toward better health is to cut out the sugar. 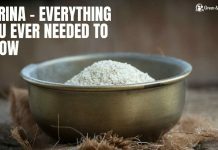 Finally yet importantly, it is important to remember that aside from a little boost of energy, sugar does not provide a lot of nutritional value to your body. If you want something sweet, you are much better off grabbing a piece of fruit than a cookie. At least with a piece of fruit you are getting some vitamins and fiber with your sugar fix. If you want or need to lose weight, the first thing you should cut out is sugar. It causes spikes in your blood sugar, that then make your body produce a large amount of insulin to pull the sugar out of your system (and convert it to body fat). The sad little side effect of that process is that your blood sugar goes on a roller coaster ride that will leave you hungry and craving more treats that are sugary.